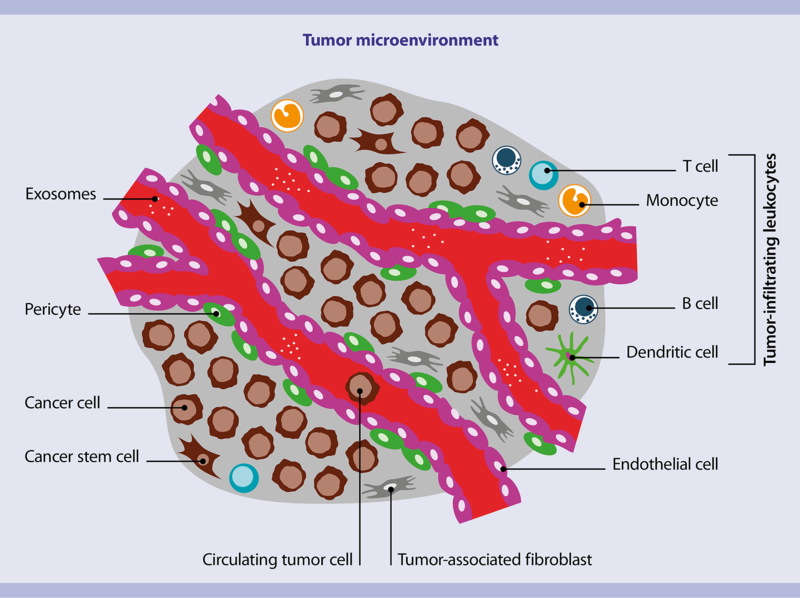 Characteristics of tumors are modeled in lab animals, most frequently mice, to better understand tumor biology, treatment, and resistance in less complex situations. The main models of cancer used are xenograft tumor models, syngeneic mouse tumor models, and genetically engineered mouse models (GEMMs). To generate a syngeneic mouse tumor model, a mouse-derived tumor cell line is transplanted back into a recipient of the original mouse strain to prevent graft rejection. These models are very useful, especially for immunotherapy research, but have limitations, including the low degree of tumor heterogeneity and very fast growth kinetics that narrow the therapeutic and analysis window. This contrasts with human tumorigenesis, which is a process that usually takes years or even decades. GEMMs are used to analyze the process of tumorigenesis or to model a more complex microenvironment. Usually in these models, tumor development is caused by a combination of constantly or inducible activated oncogenes and inactivated tumor suppressor genes. This is necessary because the short lifespan of mice typically prevents development of spontaneous tumors. The long and heterogeneous period of tumorigenesis makes GEMMs most useful for basic research, and less so for therapy evaluations, with the disadvantage that the tumors develop from mutations in 2–3 genes, whereas human tumors usually contain a much larger number of mutations (PMID: 24657537). In summary, the choice of a tumor model depends on the scientific question, and all models present advantages and disadvantages. Freshly dissected tumor tissue can be stored for up to 48 h without compromising cell viability or causing unwanted effects like cell activation or apoptosis. Cells pre gram of tissue comparison between MACS Tissue Storage Solution and competitor products. Miltenyi Biotec developed a straightforward method that combines mechanical dissociation and enzymatic digestion to yield single-cell suspensions with high numbers of all cellular subpopulations present in a tumor. The Tumor Dissociation Kit, mouse is combined with the gentleMACS™ Dissociator and C Tubes to quickly prepare single-cell suspensions from mouse tumors, as well as tissue samples of syngeneic tumor models or GEMMs. Lot-to-lot consistency of enzymes and automation of the mechanical dissociation step ensure reproducible results.